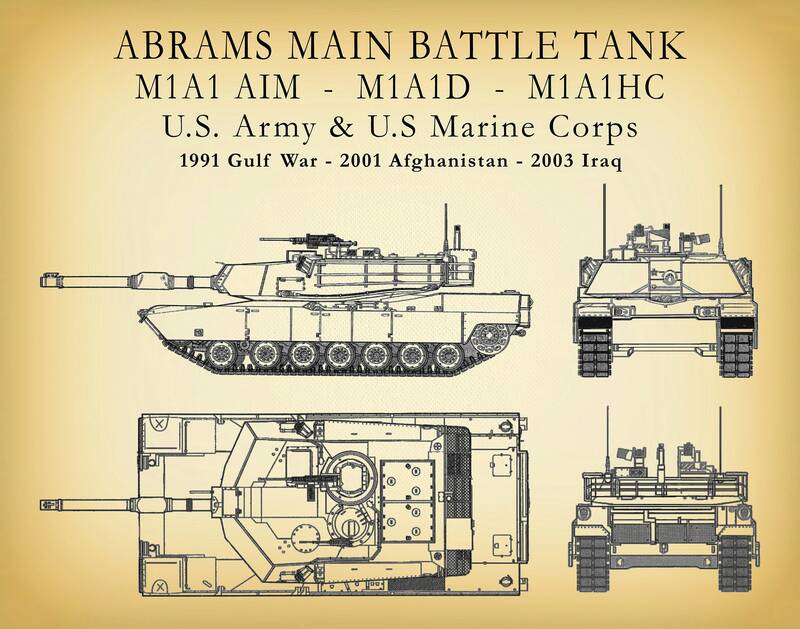 The M1A1 Abrams Battle Tank entered U.S. service in 1980, replacing the M60 tank. 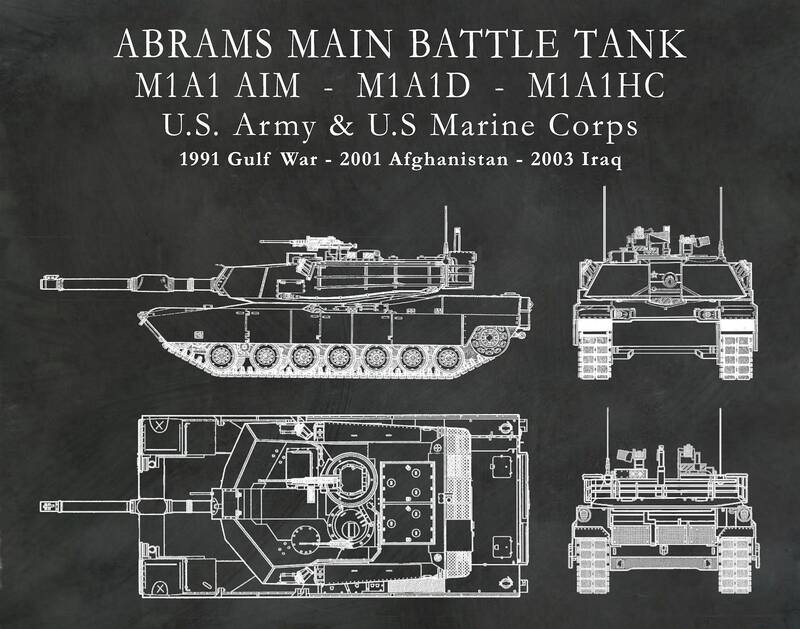 The M1 remains the principal main battle tank of the United States Army and Marine Corps, and the armies of Egypt, Kuwait, Saudi Arabia, Australia and Iraq. Awesome print. 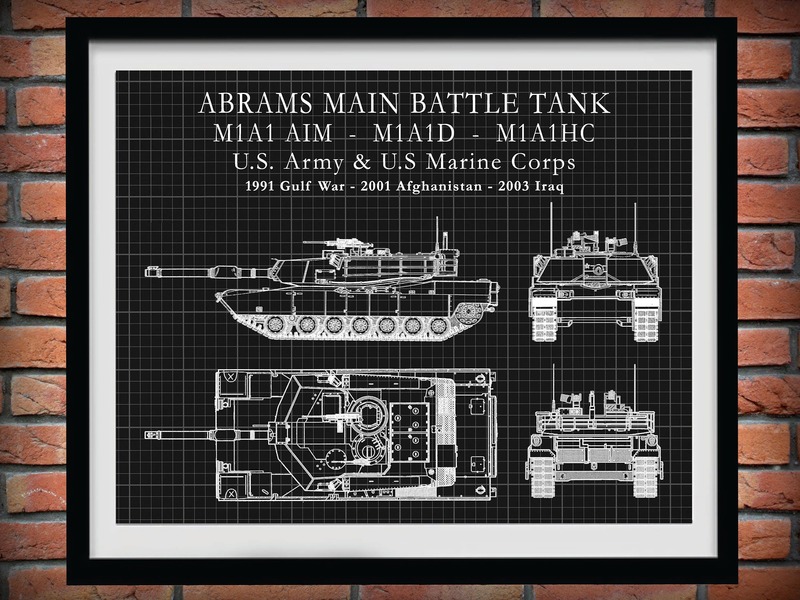 Looks great on my husband’s office wall.